It did not start well. 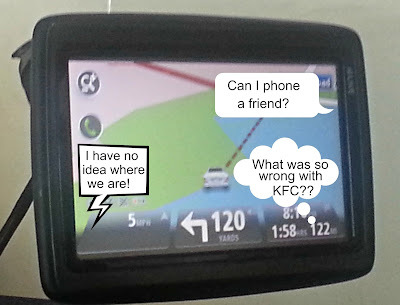 It was quite a drive into the very bowels of the city and the sat nav was a tiny bit indecisive. The fair city of Bristol has its charms, but the road system is certainly not one of them. Road signs are a rarity, traffic lights certainly are not, and some of the road layouts would challenge the most dedicated police interceptor. Sometimes, the lane switches are so swift and confusing, the sat nav throws up its imaginary arms in despair and gives up. 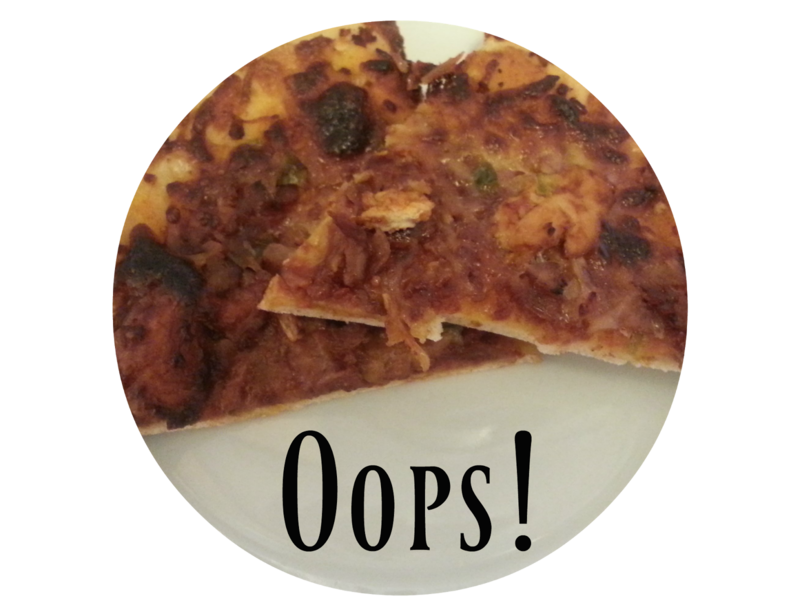 Although, it is always quick to let us know that its guesswork was wrong afterwards! So it was a bit of a struggle finding the place, but that wasn't the best bit. Oh no. The large, imposing building was easy to spot, the entrance, however, was not. There was a lovely big sign advertising the menu, but nothing to tell you how to get in! We drove up to it, past it, turned left, trying to turn around, ended up in a huge housing estate, found our back out, drove back the other way, nothing! We drove past it again, thinking we must have missed it, repeated the backstreet tour, still nothing. So, in desperation, we decided to park in a Sainsbury's next door to the venue, with the intention of walking over. We turned off the main road, into a side street, then into the carpark. As we turned in, there was a sign indicating that this was also the way to the venue. Perfectly placed to achieve absolutely nothing, as we were already there! So that was how it started, a little signage goes a long way. Not really a complaint, though, more of an observation, so we soon forgot about it and looked forward to our meal. This was a fairly standard family restaurant, with the usual generic meals; fish and chips, a few steaks, burgers, etc. Which is fine, because that was what we wanted and the prices were really competitive. I ordered a steak and Phil went for the mixed grill. So far, so good. Our one request was that his came without onions. Soon enough, his mixed grill arrived... on a bed of onions. As he really doesn't like them, I did point out that we had asked for no onions, and the waiter went away and came back two minutes later, with the same plate, sans onions. So it's a good job he didn't have any kind of allergy and just doesn't like them, as I am 99% sure they just scraped the onions off and returned the same plate. We cracked on, regardless, though, determined to enjoy our meal. It was then that I noticed the peas. There was absolutely no variation in the vegetables at all, you got peas whatever you ordered. 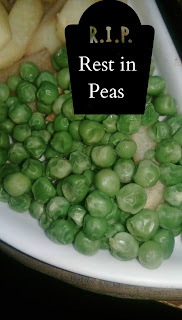 Even with only peas to prepare, though, they still managed to produce something that looked like it had been languishing at the back of the fridge for at least a week. 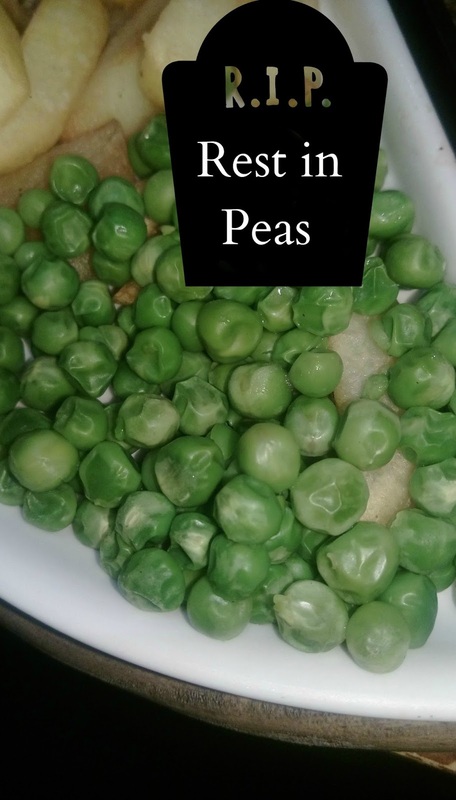 These peas were so sad and elderly looking, It seemed that the kindest thing to do would be to give them a dignified funeral. 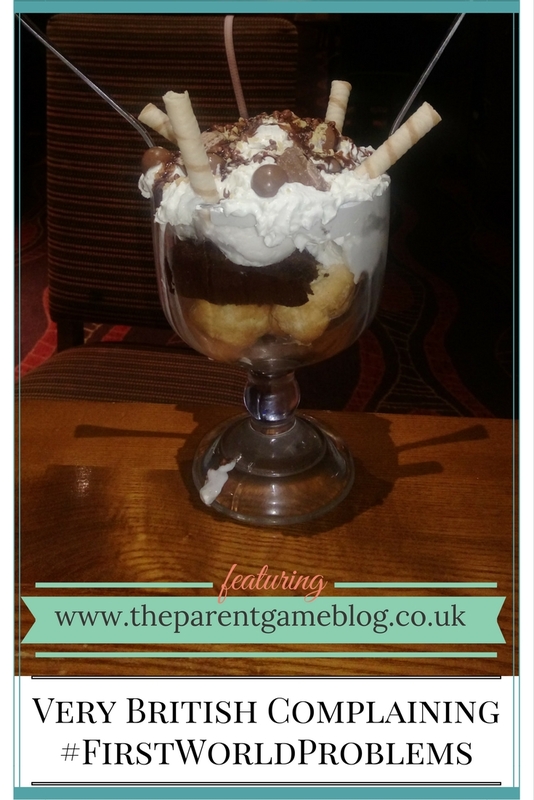 The chips were undercooked, the chicken on the mixed grill was not very nice, and we were not able to use the voucher we received for more than one course, despite it saying 'all food' on the website, and it was just lots of little things that niggled in general. The worst part was the food though. When you go out for dinner, you are going for nice food. Nothing complicated, in our case, just tasty food, so it was a huge fail on that front. 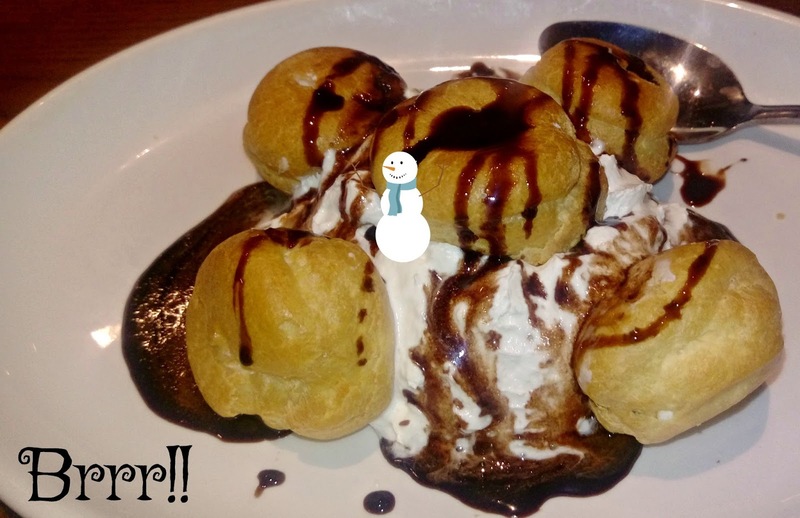 The puddings were also a disappointment. My profiteroles were so barely defrosted, they made my teeth hurt, and the treacle sponge (which was the most expensive dessert) was clearly plopped out of a tin and hastily microwaved. Honestly, what's the point? I realise you get what you pay for, but it should still be edible, with a little bit of care taken, in my opinion. Despite all of this, though, I never complained. When the waiter came over to ask how our meal was, we all said 'great'. Which wasn't true. After we left, I found myself questioning why I never said anything. I was quietly seething that we had been prevented from enjoying our evening out by a lack of care on the part of the venue, so why did I let it go? I concluded there were two reasons. Firstly, I don't like to be 'that guest'. We were dining with friends, and it's hard not to be self conscious around other people. 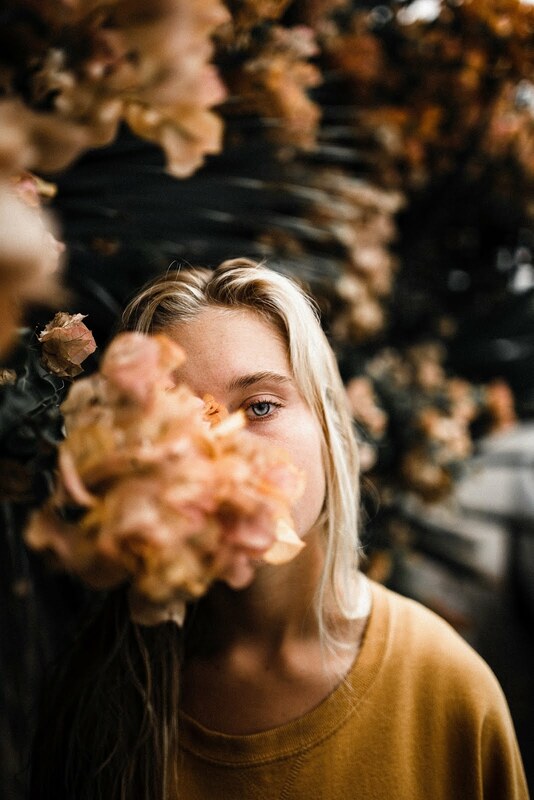 I don't want to be the one who makes a fuss when everyone else is quite happy, or, at the very least, choosing to make the most of it. 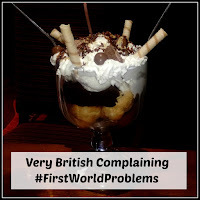 The overriding reason though, is that #FirstWorldProblems hashtag. The one that gets trotted out every time anyone complains about something comparatively trivial on social media. 'Traffic at a standstill' #FirstWorldProblems 'My delivery is late' #FirstWorldProblems. 'Your hamster got my hamster pregnant' #FirstWorldProblems. You get the idea. It is applied, by certain social media dwellers, whenever anyone complains about something that is not a big deal, compared to a world of suffering and pain. And it is absolutely true. It's hard to send back a substandard meal, when there are people starving in some countries, so I don't, I gratefully accept that I have food to eat, even if it's not quite what I had hoped for. Which is fine, when you burn your own dinner, but not when you are paying for a meal. Complaining does not mean that there is any comparison between the relatively trivial, and the hideous wrongs in the world. 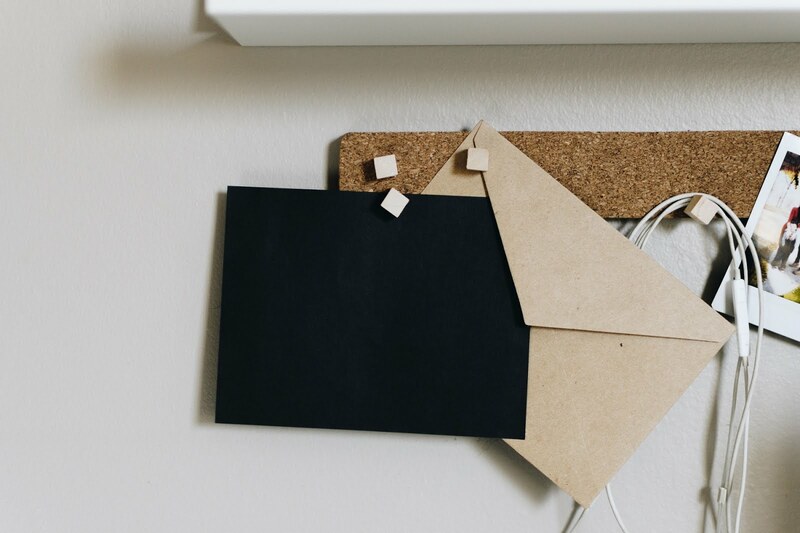 Sometimes, social media is the best way to get hold of a company who have failed to deliver on service, and it's no one else's business if you want to use it to communicate your disappointment. When someone has not met the standards they promised, why should they get away with a half-baked service that people are paying for? Without complaining, you are not giving the business a chance to put things right. You leave, never go there again, and probably tell your friends how bad it was, which isn't what the business wants. Things can go wrong, mistakes happen, but you can learn a lot about a place by how they deal with complaints and it's fair to give them that chance. If I had complained, maybe they could have put some things right and we would have had a better time. Then, instead of telling people how bad it was, we would be telling people how great they were at putting it right, and everyone wins. Complaining isn't always a bad thing, and I think by being braver we could all have had a much better time and I wouldn't still be annoyed with myself now!